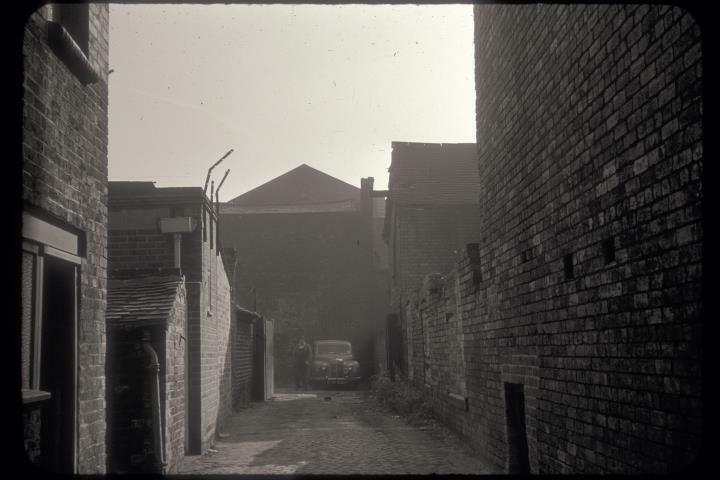 Description:This is an alley running off Hope Street in Hanley leading to the New Hall Pottery works. 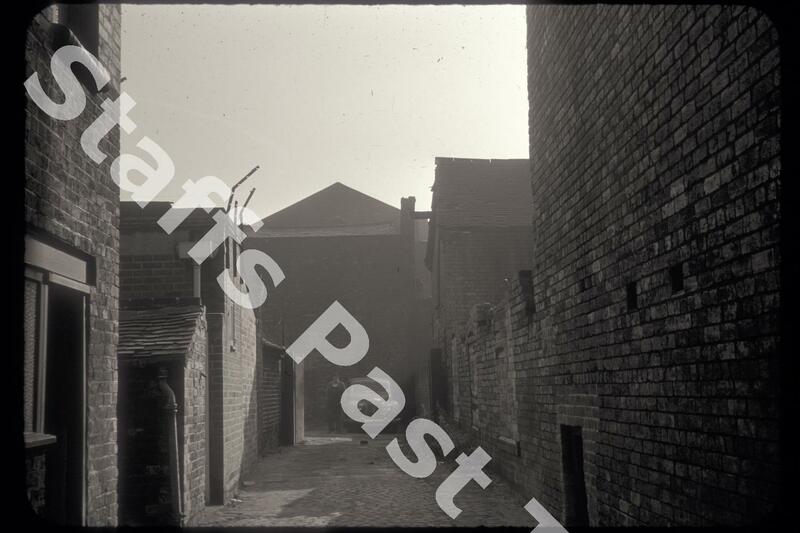 This alleyway is marked on the 1880 O.S. map. and the surrounding housing and works buildings are earlier. The car parked at the end is a 1950s Austin A40 saloon.